Over 98% of donations reach children in need. We hope you will join us in helping orphaned, abandoned and desperately poor children. Children like seven-year-old Roman have been left in this world without parents to care for them. 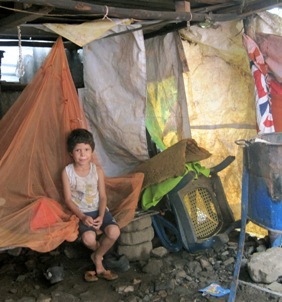 Roman lives and works in a garbage dump in Nicaragua and some nights he wakes up crying, asking for his mother. He asks why his mother left him. He pleads with his grandmother to find his mother and ask her to come home. He promises he will be a good boy. Roman’s grandmother is so poor she can't afford even the simplest things as regular meals for her grandson, much less school supplies or clothes. But your tax-deductible donation will make a world of difference in Roman's life and in the lives of other orphaned and abandoned children. Your love in action will help ensure children have nourishing food to eat and can go to school. Please make a one-time donation or become a monthly donor and help Roman and children like him know there is love and kindness in abundance the whole year through. All of our work to help children is done in the direction of peace. Creating lasting peace for the future begins with helping children who will be the next generation. People who are hungry, have disease and are illiterate are unable to be the social motivators needed to create peace. They are easily upset, have little physical capacity and are easily influenced in harmful ways. We help children overcome the cycle of poverty. With good health, nutrition and education they become strong in body and spirit and are able to create enduring change for themselves, their families and their communities. Children can bring about world change. They need help to get there. Change is possible. 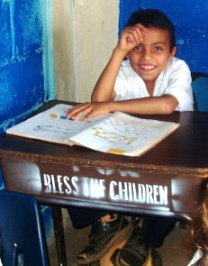 Bless the Children is an international organization helping the poorest children of the world who are living under extreme conditions. Our programs help poor communities improve their own conditions through pioneering efforts focused on addressing the primary cause of poverty - a lack of access to education. There can be many challenges to providing an education. A child may need food, clothing, shelter, healthcare or simply school supplies. In the worst cases there is not even a school for them to attend. We work with communities to overcome these barriers. We assist poor children to receive the education they need so they may become literate and have opportunities to be employed. Our mission is to free orphaned, abandoned and impoverished children from the chains of poverty by empowering them with health, shelter, educational, cultural and spiritual support so that they may become productive members of society. Our prime goal is the building of a better world through the love, care and education of orphaned, abandoned and impoverished children. "We are happy to support your endeavors to save children everywhere." M.R. 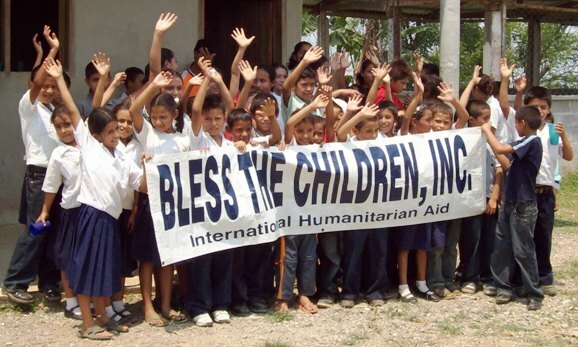 "Bless each of you for all that you do for children everywhere."